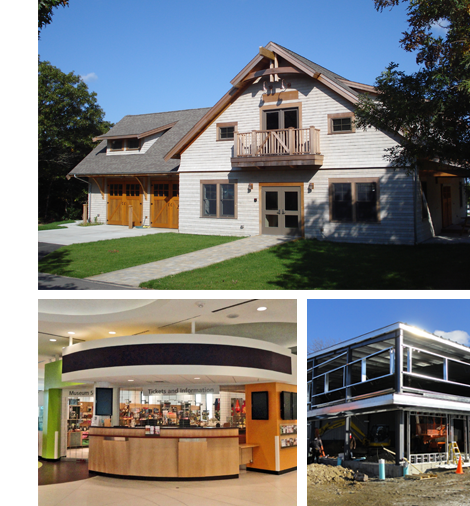 For almost four decades Builders Systems Inc., has been working with southern New England companies to provide Value for Their Construction Dollar as they remodel and expand. We pride ourselves on the expertise of our workforce. The majority of our field superintendents and carpenters are long time career employees and all of our Project Managers have extensive experience in the field as Builders Systems Superintendents, so they know the day to day needs of our customers as well as means and methods that save time and money. We were founded and have been at our home office in Auburn, MA, since 1974, and have had a branch location in Sandwich, MA, serving southeastern Massachusetts and the Cape Cod region since 2001.